How are things going in your office or with your team? I’m curious if you are noticing a difference in the tenor of conversations? The rate at which tasks are being completed? Or if some goals are getting missed? How are the Human Beings in your work space? Including YOU! The world seems a little crazy right now. Discussions, opinions, values, and beliefs (yes, I’m talking personal stuff) can’t help but seep into the work environment. Of course, you can demand that everyone leave all that at the door – but honestly, can we? We are rounding the corner, coming up on the fourth quarter. 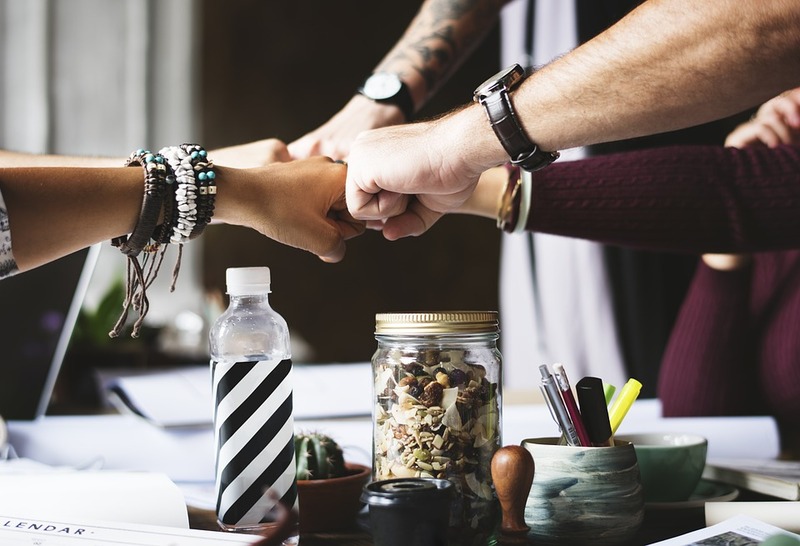 The fourth quarter push can be tough on everyone, so now is the perfect time to infuse the office climate and culture with positivity by giving your team some attention. The beginning of the end of the year is ideal for a boost, a preventive shot in the arm or – if they are already struggling – some focused energy on rebuilding the bridges and connections that make high-quality work flow. This is the time of year when investment and focus on communication and teamwork are going to pay high rewards – not only as you wrap up 2017, but as you dive into 2018! Let’s face it: The past several months have been pivotal, emotional, and potentially frightening for a lot of people – some of whom you are depending on to achieve the goals of your organization. Now is the time to invest in the human relationships. After all, they are critical for achieving those goals. So go ahead, pick one of these options, and let’s play! Bringing your team back into focus after the vacation season and hot, hazy days of summer can be tough. But I can help! Bring your group together for a fun, one-day retreat that focuses on energizing and aligning your staff to finish the year strong. No cookie-cutter programs here! To design the day perfectly for your needs, we will talk through the goals and struggles your workgroup may be facing, and use intentionally-designed activities to focus on increasing communication, trust, and teamwork – all while having great dialogue and FUN. Do you get butterflies in your stomach when you have to give feedback? Do you wish you knew how to address the coworker who wears too much perfume without hurting their feelings? Do your clients frustrate you to the point of anger? In this workshop, we will explore how and why we are triggered, what brain-based research tells us about how to engage effectively in challenging conversations, and how to care for ourselves when others are upset. You will learn a six-step process to prepare for – and engage in – challenging conversations with clients, employees, coworkers, and family members. Perfect for both emerging and existing leaders, in this fun and insightful workshop, participants will explore the myths, stories, and perceptions that create self-imposed (and easily-removed!) blocks to success. We will explore the roles of blame, guilt, and fear, and how to instead become a leader of self and others who focuses on strengths, possibility, empowerment, collaboration, and accountability. Each member of your group will take the DiSC Everything profile instrument, a fun and easy questionnaire you take online. It results in an expansive report that shares insight into your unique work style, communication style, what motivates you, and more. Then we will come together as a group for a full day of activities and dialogue that will help everyone better understand, not only their strengths, but how best to work with their colleagues. Fun, informative, and great transfers back to the workplace. Good organizations set annual goals, but great organizations check in on them! When is the last time your team had a dialogue about goals? I will provide skillful facilitation so your team can delve into what works, what doesn’t, how you can take it to the next level, where there is opportunity to stretch a bit further, and how to capture what you learned and plant the seeds for next year’s goals. The byproduct of this kind of group dialogue is deeper connection, empowerment, accountability, and teamwork. If any of these sound just like what your team or company needs, give me a call or email me, and let’s talk about creating just the right workshop or retreat to meet your needs!